I wasn’t kidding around when I said that I intended to eat well on this cleanse. I mean, mint chocolate ice cream. Really? I suppose the most important part about doing a cleanse is finding one that works for you. I got my start with cleanses when my naturopath and my allergist both recommended I do an elimination diet to see whether I was allergic or sensitive to anything besides gluten. I ended up doing a hybrid of the elimination diet from the good folks over at Whole Life Nutrition and Dr. Junger’s Clean program, which gets high marks from Gwenyth as well as a bunch of folks on Amazon. This time I’m loosely following Natalia Rose’s Detox for Women (Kimberly Synder’s The Beauty Detox Solution is similar). Natalia stresses lots of vegetables but gives the green light on limited amounts of raw goat cheese (yum!) and dark chocolate (double yum!). That’s a cleanse I can get behind. 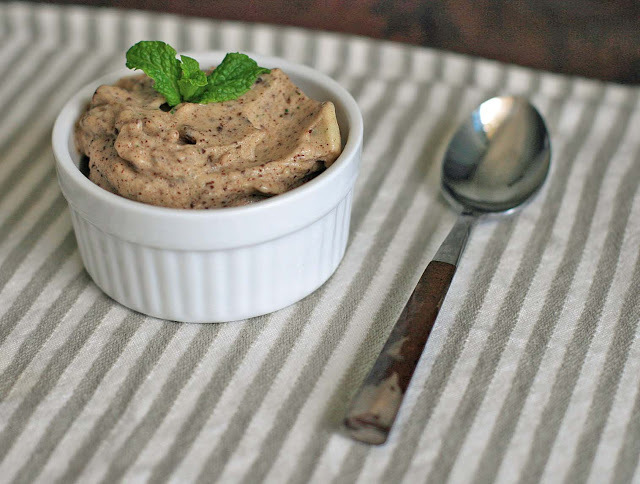 You’ve may have seen one-ingredient banana ice cream in the blogosphere before. OK, but a little on the boring side in my opinion. In one of Natalia’s earlier books , she has a recipe for “banana mint,” which is like a soft serve mint ice cream. I lightened it up with a bit of ice and processed some chocolate in there with it. It’s pretty amazing what you can get when you combine a bunch of mint leaves, a small amount of chocolate chips, and some frozen bananas. I have a feeling that I’ll be whipping up variations of this long after this cleanse is done. If using a high speed blender such as a Vita-mix or Blendtec: Place the bananas, mint leaves and ice, if using, into the blender container. Turn on the machine and quickly increase speed to high. Use the tamper to press the ingredients into the blades while processing. Once everything is slightly combined, stop the machine and add the chocolate chips. Turn the machine back on and again increase the speed to high. In about 10-30 seconds, the sound of the motor will change and mounds should appear in the mixture. Stop machine immediately or melting can occur. If using a food processor: In a food processor combine the bananas and mint leaves. Process until almost smooth. 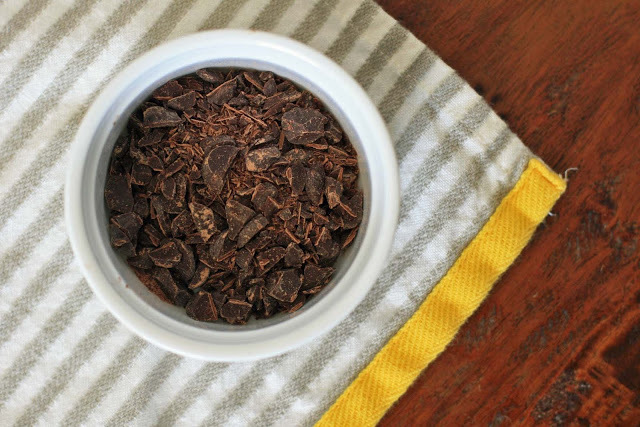 Add the chocolate chips and process until well combined. Note: You can also freeze the mixture to get a harder ice cream, but you’ll have to let it sit out and thaw for a couple minutes before you’ll be able to scoop it.